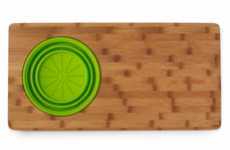 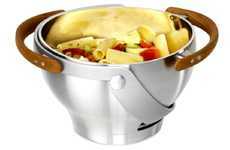 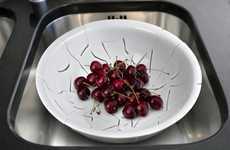 A broad bowl with holes in its base is really all that you need to drain pasta and vegetables from rinsing and boiling water. 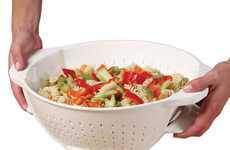 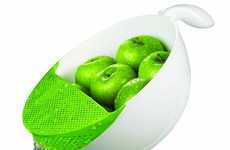 The Cloud Colander is not most strainers since it strives to accomplish two other functions. 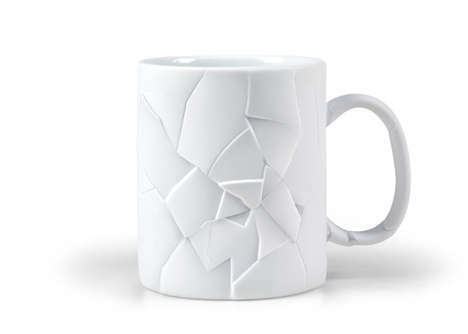 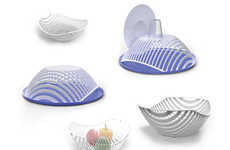 The first might lightly be considered aesthetics because the whimsical sieve takes an eye-catching and delightfully engaging form. 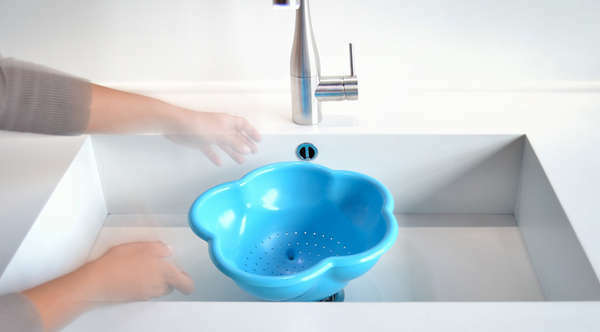 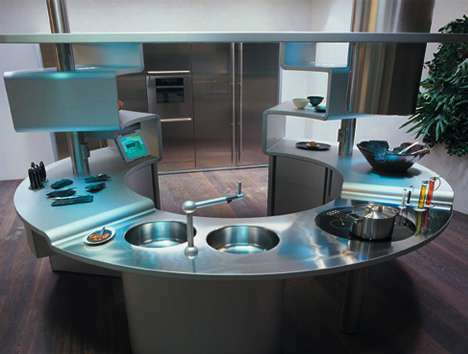 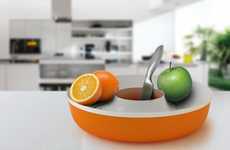 Modeled on a billowing cloud, the basin has a lovely bulging shape that's made from bright blue food-safe polyurethane. 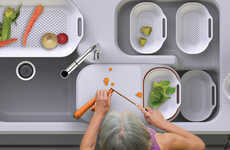 A deeper appreciation of the Muka Design Lab's kitchen product would be to associate the dripping liquid with falling raindrops. 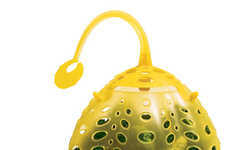 The Cloud Colander reminds the user of the natural origin of his interior tap water so that he might be more conscious in reducing wasted H2O.